Whether you were in a car accident, tractor trailor accident, bicycle accident, bus accident, or a pedestrian accident, draw.accidentsketch.com can help you recreate the scene to better help your case. Just follow these easy steps to learn how! 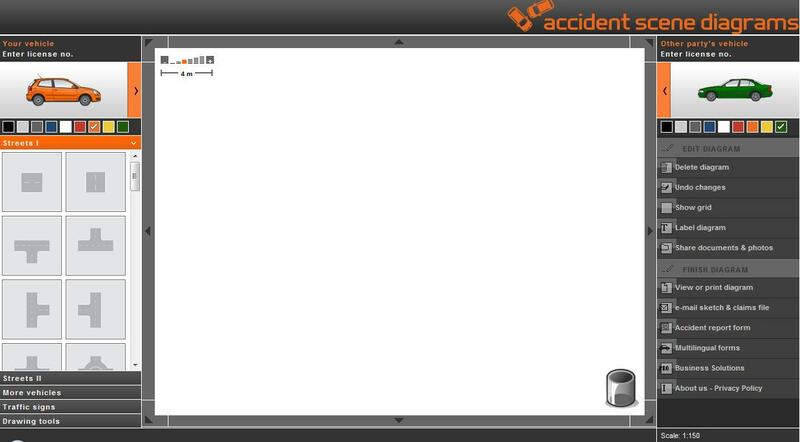 First, set the scene of the accident, using objects from the left-hand drop down menus. 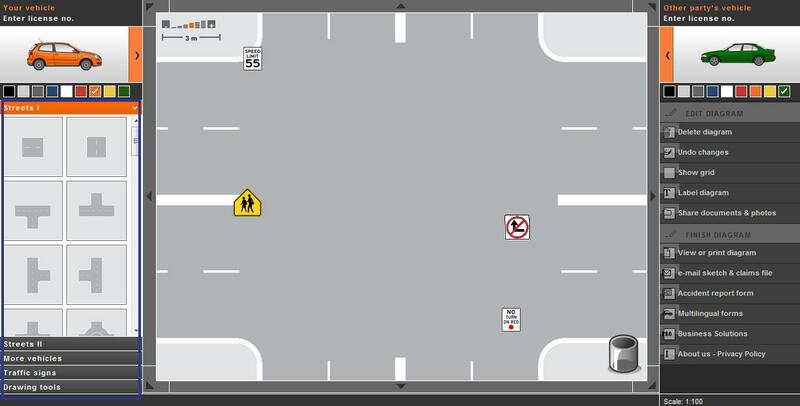 Recreate the street and use any relevant traffic signs. Next, you want to add who was involved. The orange car is your car, and the green car is the opposing party. 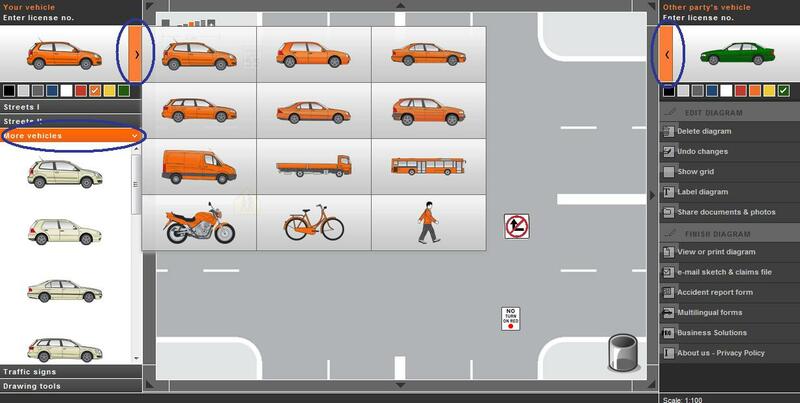 Click the arrow and choose from different cars, vans, trucks, buses, motorcycles, bicycles, and even people. You can also enter license place numbers. If you need more cars, the left-hand menu offers the same selection in white. 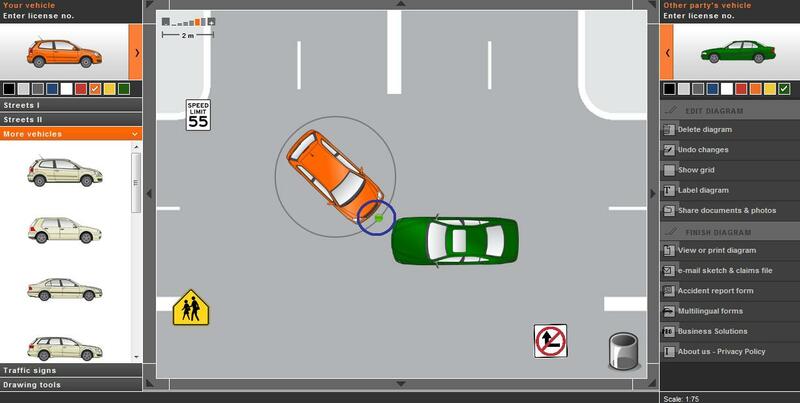 To insert a vehicle, simply click and drag it onto the diagram. In order to rotate the object so that it faces the right way, click and drag the green button. 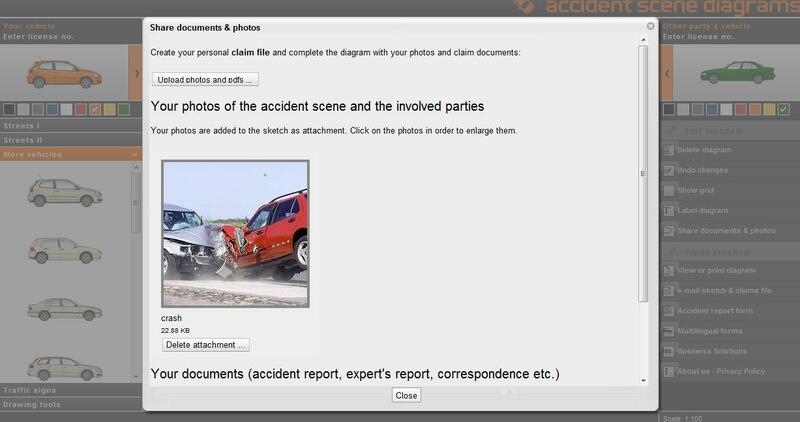 Among other options on the right-hand menu, you can add photos and documents that you have from when the crash occurred. You can attach these by selecting the "share documents and photos" button. 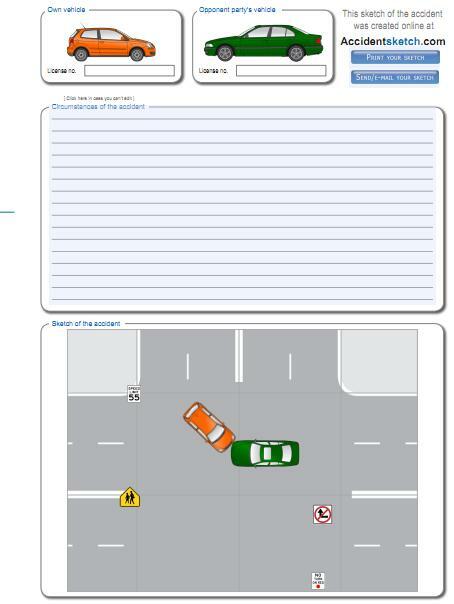 Click "View or print diagram" on the right-hand menu and it will take you to a PDF of your accident report. This will include your sketch, the license plate numbers, provides you with text space where you can type your description of the accident. 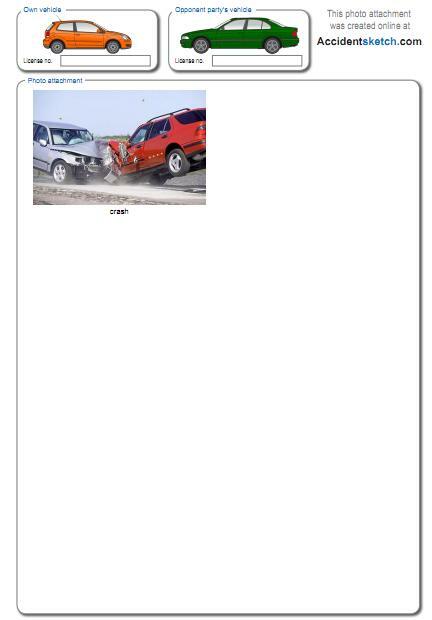 The third page of the PDF shows any photos that you may have attached. When simply viewing the sketch, you won't see any documents that you may have attached. Those will only appear if you e-mail this to someone. 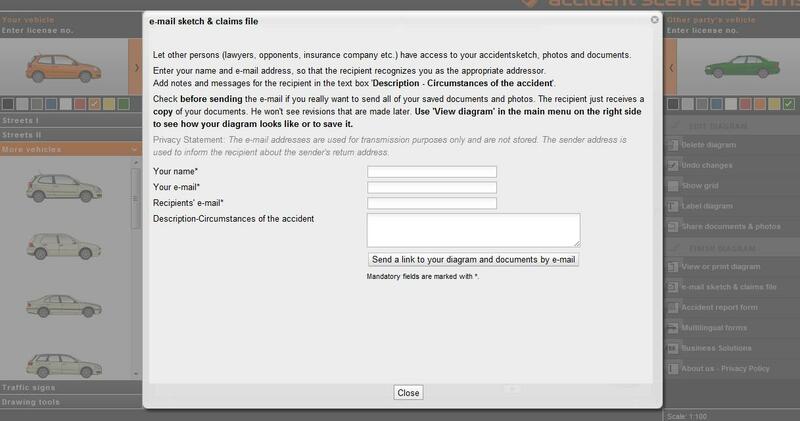 Step 7: Email Your SketchTo e-mail the PDF from the previous slide, select "e-mail sketch and claims file". Fill out all the information.